Forbes has released their annual report on the worth of NHL franchises for 2009. As we reported last year in our worth of NHL teams post, the Toronto Maple Leafs were in the top spot with an estimated worth of $448 million. Phoenix was last of all 30 teams in the NHL with a worth of $142 million. We didn't expect a lot of change this year. Let's begin by examining the worth of the six Canadian NHL franchises. Montreal Canadiens - Ah the storied franchise that is currently celebrating its 100th anniversary. 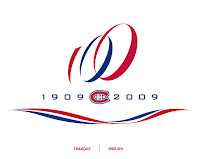 Ranked third overall, les Habitants have a net worth of $339 million as of 2009. With a pending sale to the Molson family, the Canadians have generated revenue of $130 million. According to reports from Forbes, this past July, George Gillett agreed to sell his 80% stake in the Canadiens, the Bell Centre and a concert-production business for about $500 million. Vancouver Canucks - with a net worth of $239 million, the Canucks are number nine overall on the NHL worth list. Revenues for the Canucks have been increasing steady for the past ten years. With the Winter Olympics set for Vancouver in February 2010, the Canucks will be in between home games for a period of two weeks. Calgary Flames - With an estimated worth of $200 million, the Flames dropped slightly from last year. The team was purchased for $16 million in 1980 after moving from Atlanta to Calgary. Ottawa Senators - Coming in at the #17 position overall just after the Calgary Flames are the Ottawa Senators. The Sens have an estimated net worth of $197 million based on revenues of $90 million. Edmonton Oilers - ah my favorite hockey team, the Edmonton Oilers. The mighty Oil have not been so mighty as of late as they have missed the playoffs for three straight years and are in danger of missing them again this year. The fact is, the Oilers have failed to qualify for the post season since trading away their heart and soul Ryan Smyth back at the trade deadline on February 27, 2007, when last minute negotiations with Smyth's agent Don Meehan failed. After twelve years with the Oilers, Ryan Smyth was traded to the New York Islanders, in exchange for Robert Nilsson, Ryan O'Marra and the Islanders' first round pick in the 2007 entry draft. The Oilers have never been the same. The entire list of NHL teams can be found here.